The Arabian nation is expected to sign a record investment package with Pakistan aiming to provide welcome relief for its cash-strapped Muslim ally. The prince visit comes shortly after Pakistan rolled out a similar red carpet for Abu Dhabi Crown Prince. Pakistan is preparing to welcome Saudi Arabian Crown Prince Mohammed bin Salman for a state visit over the weekend, the foreign ministry confirmed Wednesday, as Islamabad hopes to sign various investment deals to prop up its slumping economy. The two-day visit will kick off on February 16 and include a raft of high-level talks with Prime Minister Imran Khan along with Pakistan's military chief. "During his stay, Pakistan and Saudi Arabia will be signing a number of agreements ... related to diverse sectors," Pakistan's foreign ministry said in a statement. "The two countries will also discuss ways and means to develop a robust follow-up mechanism to ensure effective implementation and quick progress on tangible areas of cooperation." 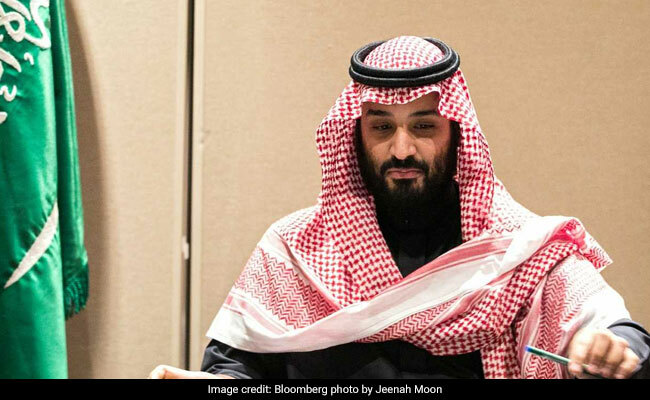 The trip comes as the crown prince continues to be tarnished by his alleged links to the brutal murder of Saudi journalist Jamal Khashoggi amid new revelations he spoke of going after the writer "with a bullet". The CIA has concluded the Saudi operation was likely directed by the powerful crown prince, but the White House has sidestepped that finding amid strenuous denials by Riyadh. Despite the controversy, Riyadh and Islamabad -- decades-old allies -- have been involved for months in talks to iron out details of the deals in time for the crown prince's visit. Saudi Arabia is reportedly preparing to sign a record investment package with Pakistan, aiming to provide welcome relief for its cash-strapped Muslim ally. At the heart of the investment is a reported $10-billion refinery and oil complex in the strategic Gwadar Port on the Arabian Sea, the ultimate destination for the massive multi-billion dollar China Pakistan Economic Corridor. The visit comes just weeks after Pakistan rolled out the red carpet for Abu Dhabi's Crown Prince Sheikh Mohamed bin Zayed Al-Nahyan, shortly after the emirate pledged to provide $3 billion to support Pakistan's battered economy. The Wall Street Journal reported last month that both Saudi Arabia and the United Arab Emirates -- Islamabad's biggest trading partner in the Middle East -- have offered Pakistani Prime Minister Imran Khan some $30 billion in investment and loans. Pakistan has been courting its Gulf allies for months as Khan's new government desperately seeks to stave off an ongoing balance of payments crisis and reduce the size of any potential bailout from the International Monetary Fund.